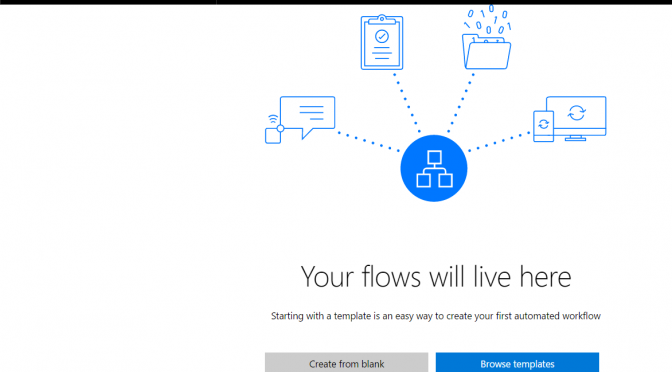 It looks like Microsoft created a generic workflow platform, product independent. 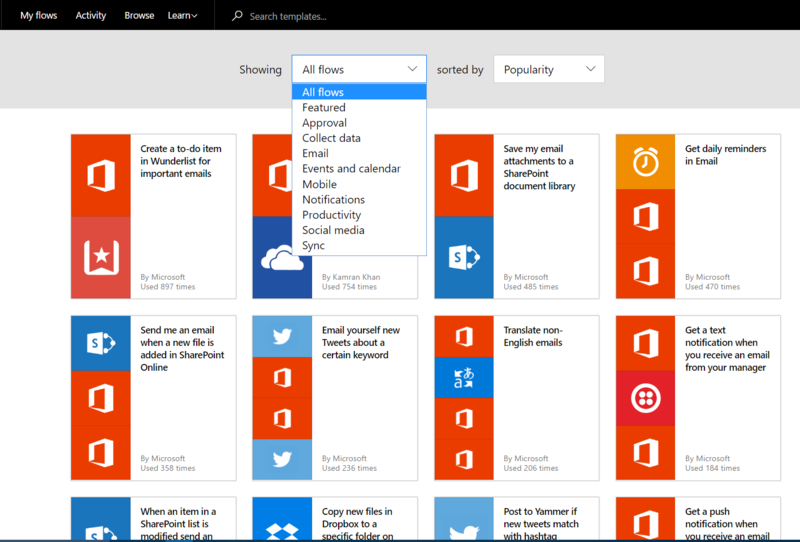 Microsoft has software solutions, like MS Outlook with an [email] rules engine built into Outlook. 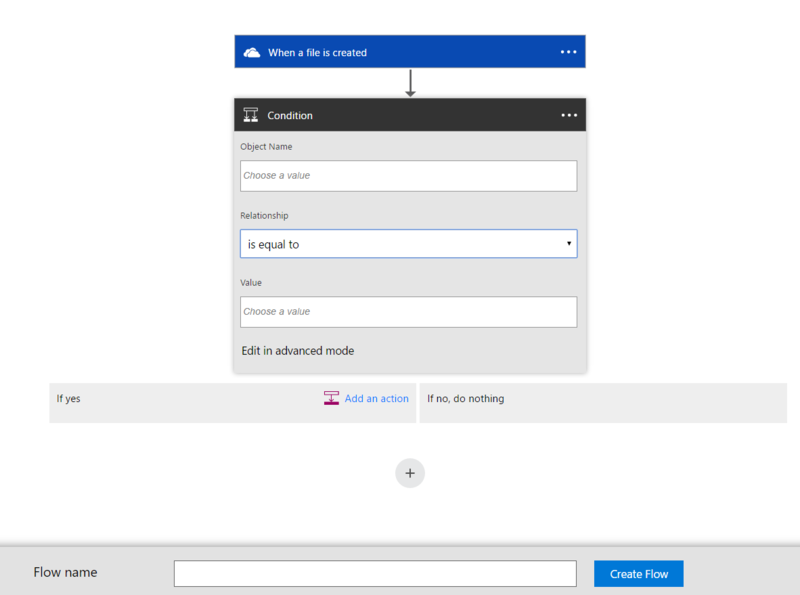 SharePoint has a workflow solution within the Sharepoint Platform, typically governing the content flowing through it’s system. 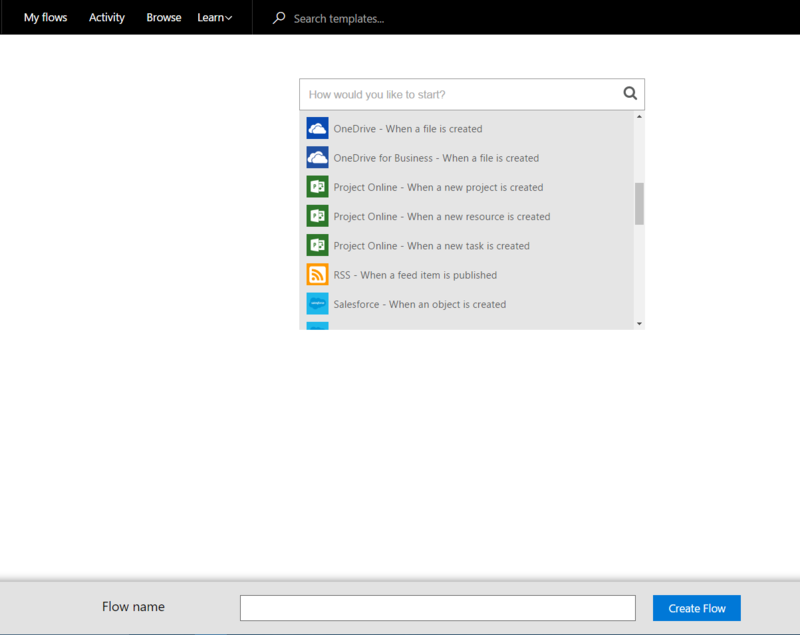 Select “My Flows”, and the user may “Create [a workflow] from Blank”, or “Browse Templates”. MSFT existing set of templates were created by Microsoft, and also by a 3rd party implying a marketplace. Select “Create from Blank” and the user has a single drop down list of events, a culmination events across Internet products. There is an implication there could be any product, and event “made compatible” with MSFT Flows. The drop down list of events has a format of “Product – Event”. As the list of products and events grow, we should see at least two separate drop down lists, one for products, and a sub list for the product specific events. The list of products as well as there events may need a business analyst to rationalize the use cases. Next, a Condition may be added to this [work]flow, and may be specific to the Event type, e.g. OneDrive File Type properties [contains] XYZ value. There is also an “advanced mode” using a conditional scripting language. Again, it seems like an eclectic bunch of Products, Actions, and Events strung together to have a system to POC. The Templates list, predefined set of workflows that may be of interest to anyone who does not want to start from scratch. The UI provides several ways to filter, list, and search through templates. Applicable to everyday life, from an individual home user, small business, to the enterprise. At this stage the product seems in Beta at best, or more accurately, just after clickable prototype. I ran into several errors trying to go through basic use cases, i.e. adding rules. Microsoft may be the glue to combine service providers who may / expose their services to MSFT Flow functionality. OR new text file attached, and emailed to specific email account folder ‘watched’ by MSFT Flow. On several ‘eligible’ events, such as “File Creation” into Box, the file (or file shared URL) may be sent to the Skype account. ‘ANY’ Event occurs, a custom mobile text message is sent to a single or group of phone numbers. IBM Watson Cognitive API, Text to Speech, occurs, and the product of the action is placed in the same Box folder. It is unclear re: Flow Templates need to be created by the product owner, e.g. Telestream, or knowledgeable third party, following the Android, iOS, and/or MSFT Mobile Apps model. It is unclear if the MSFT Flow app may be licensed individually in the cloud, within the 365 cloud suite, or offered for Home and\or Business? Is there value in providing users the ability to apply “Time Lock Access” to files in cloud storage? 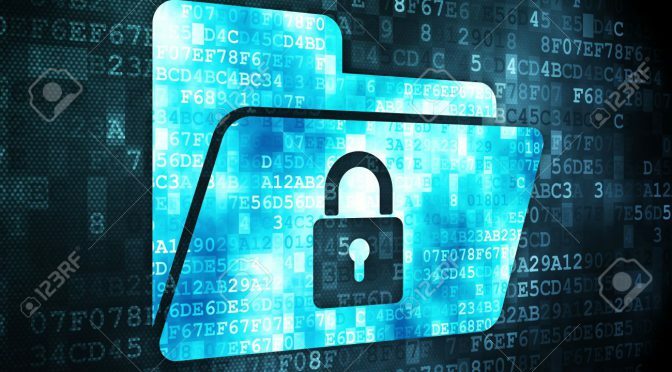 Files are securely uploaded by their Owner. After upload no one, including the Owner, may access / open the file(s). Only after the date and time provided for the time lock passes, files will be available for access, and action may be taken, e.g. Automatically email a link to the files. More complex actions may be attached to the time lock release such as script execution using a simple set of rules as defined by the file Owner. Solution already exists? Please send me a link to the cloud integration product / plug in. At Pure Storage, a device introduced on Monday holds five times as much data as a conventional unit. 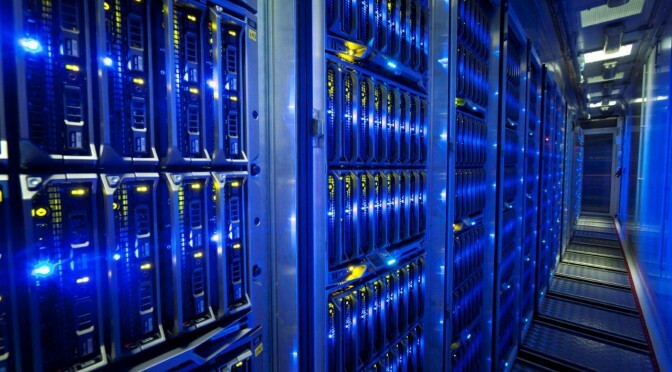 IBM estimates that by 2020 we will have 44 zettabytes — the thousandfold number next up from exabytes — generated by all those devices. It is so much information that Big Blue is staking its future on so-called machine learning and artificial intelligence, two kinds of pattern-finding software built to cope with all that information. Pure Storage is looking to “compress” the amount of data that can be stored in a Storage Array using Flash Memory, “Flashblade”. They are also tuning the capabilities of the solution for higher I/O throughput, and optimized, addressable storage. Several companies with large and growing storage footprints have already begin to customize their storage solutions to accommodate the void in this space. Building more storage arrays is a temporary measure while the masses of people, or fleets of cars turn on their IoT enabled devices. Information object registrars may contain all different types of objects, which indicate where data resides on the Internet. another example, Domain Name System (DNS) is the best example of the registration process I am suggesting to clone and leverage for all types of data ranging from entertainment to medical records. Note: there are already ‘open’ platforms being developed and used for several industries including medical; with limed access. However, the changes I’m proposing imposes a ‘registrar’ process whereby portals of information are registered, and are interwoven, linking to one another. It’s an issue of excess weight upon the “Internet”, and not just the ‘weight’ of unnecessary storage, the throughput within a weaved set of networks as well. Think of it in terms of opportunity cost. First quantify what an ‘information object’, or ‘block of data’ equates to in cost. It seems there must already be a measurement in existence, a medium amount to charge / cost per “information object”. Finally, for each information object type, e.g. song, movie, news story, technical specifications, etc. identify how many times this exact object is perpetuated in the Internet. Without exception, each ‘information object’ contains an (XML) meta data file. Another opportunity to organize “Information Asset Objects” would be to leverage the existing DNS platform for managing “Information Asset Repositories”. This additional Internet DNS structure would enable queries across information asset repositories. Please see “So Much Streaming Music, Just Not in One Place” for more details.